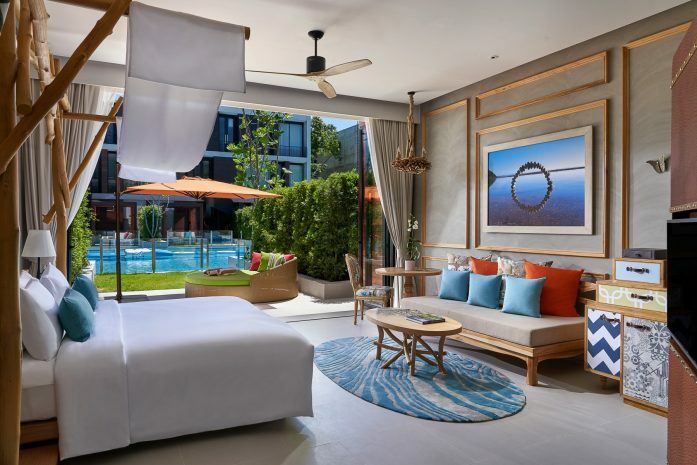 Get your BEST PRICE GUARANTEED when booking direct with SO Sofitel Hua Hin! Book your room now to secure your stay and remain flexible with Free Cancellation. Enjoy a spacious room starting from 54 sq.m themed in SO Nature or SO Arty style featuring complimentary minibar, illy coffee machine, rain shower and His & Her amenities. Feel energized after a good night sleep with buffet breakfast at White Oven restaurant serving up international and Asian dishes. The perfect way to start the day at SO Sofitel Hua Hin. Planning your holiday 3-15 days in advance? Save up to 15% with Saver Rate today.